Khalafalla saber Ahmed, Saadya mohamed El Bermawy, Aziza mohamed Elwesemy, Heba zakaria Al Gohary, Yasser Essam Elenany, Abeer mostafa Bayomy. Background and aim: Honeybee products besides their nutritional benefits, have a role in relieving the symptoms of many diseases. Thus, This work aimed to evaluate the therapeutic effect of honey, royal jelly and bee venom on alleviating arthritis symptoms in male albino rats. Materials and Methods: Fifty male albino rats were used and divided them for five groups; first one 10 rats as controlled group, second 10 rats as infected of arthritis by injected monosodium iodoacetate, third group contained 10 arthritic rats treated with honey, forth group 10 arthritic rats treated with royal jelly and fifth group was contained 10 arthritic rats treated with bee venom. From all groups blood samples were collected and measuring the hematological; RBC, WBC, Hg, HCT, RF and CRP, and biochemical parameters; serum level of sodium, potassium and calcium. 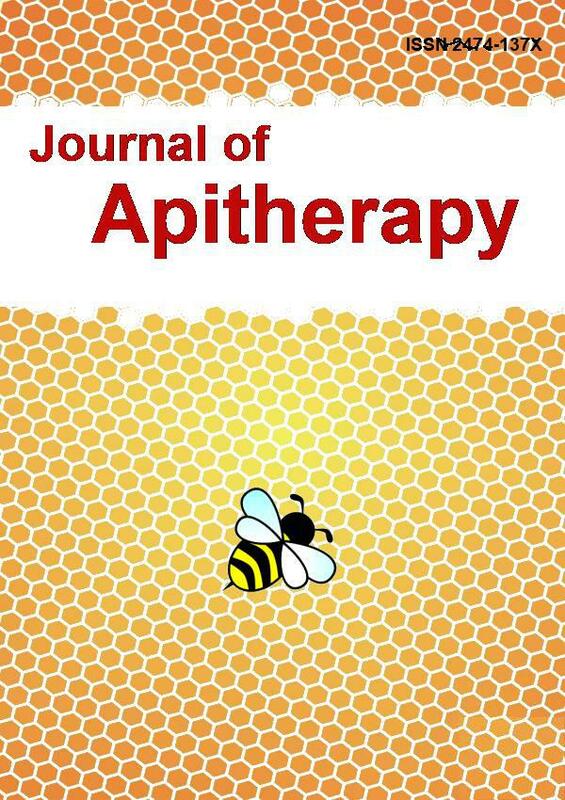 Results: Data obtained showed clear significant differences with all hematological and biochemical parameters in arthritic male rats cured by royal jelly, honey and bee venom in RBC, Hg and RF, respectively. Whereas the WBC, HCT and CRP showed more effect in arthritic rats treated with honey, bee venom and royal jelly, respectively. While in the serum level of sodium and potassium the superior effects on arthritics rats was honey followed by venom and royal jelly, respectively. Serum level of calcium was recorded high level with cured by venom, honey and royal jelly, respectively. Conclusion: the results of this work indicated that, the symptoms of arthritis were alleviating by treated with honey, venom and royal jelly, respectively.